There seems to be a trend happening on the blog lately… I guess when it’s this time of year I’m just naturally drawn to all the cozy meals! 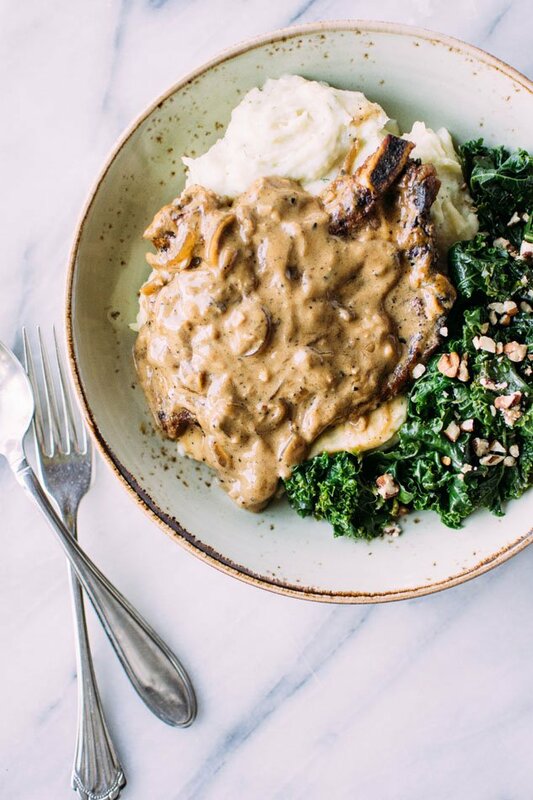 This gluten free caramelized onion smothered pork chop with herb whipped parsnips and kale definitely fits that criteria. This dish, probably more than any other dish that I’ve made, reminds me of my grandmother’s dinners. 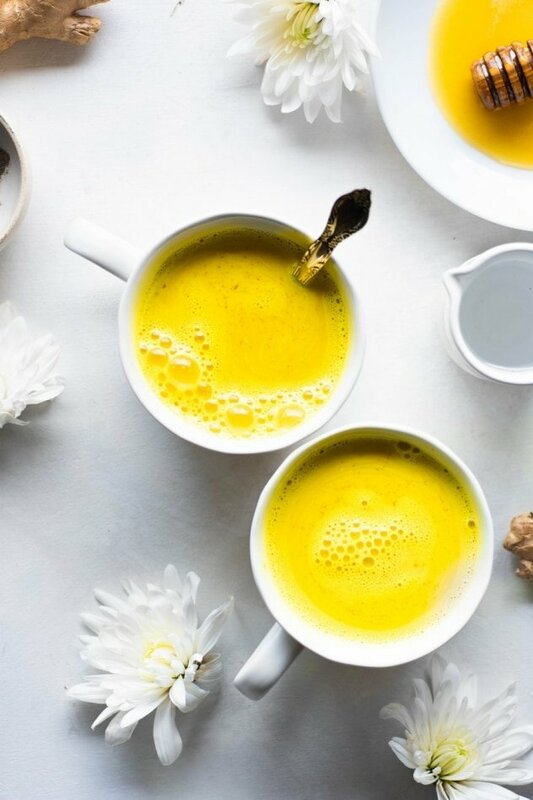 This version has no canned soups, no grains, and is totally dairy free. Sounds pretty phenomenol, right? Cashews! Cashew cream to be more exact. Aka the miracle ingredient that makes you feel like you’re eating dairy when you’re totally not. And guys. 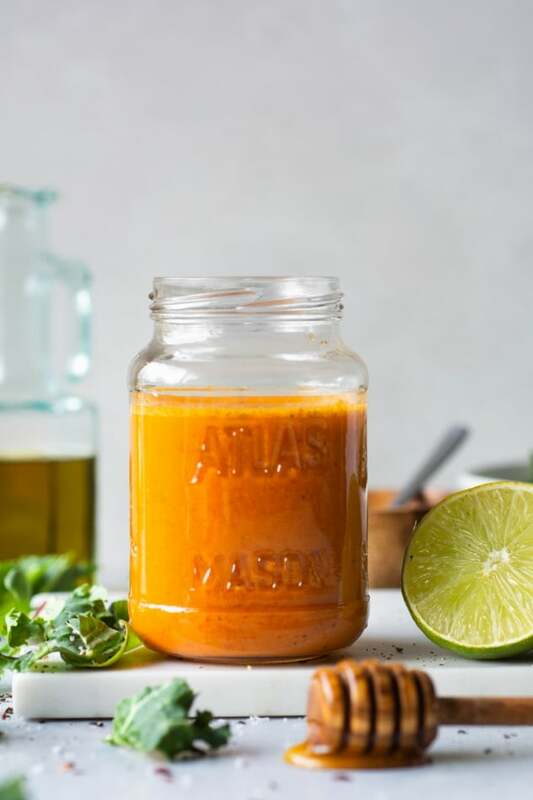 The flavor of this sauce is reaaally something special. By slowly caramelizing thinly sliced onions + garlic (hello dream team! 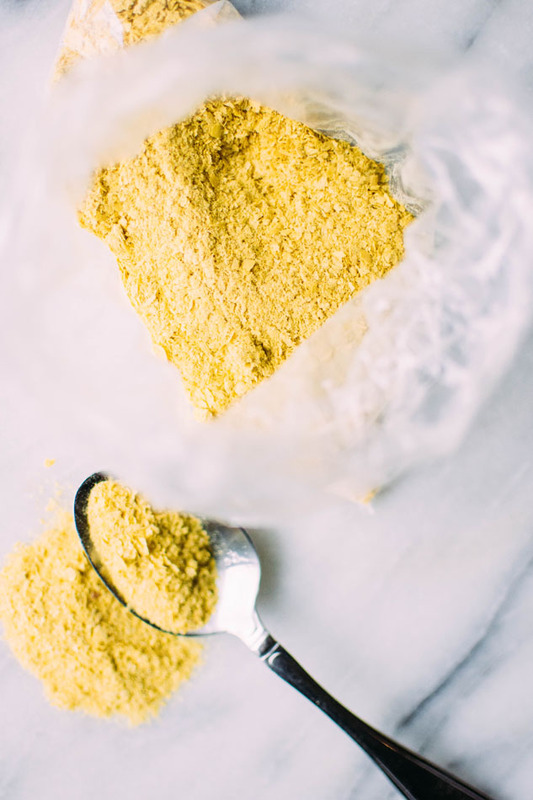 ), and adding a few flavor bombs like nutritional yeast, coconut sugar and paprika you get something so complex and inviting it tastes like it has been cooking all day long. When in reality it comes together in less than 30 minutes, and most of the cooking time is hands off so you can be working on other parts of the meal! The herb whipped parsnips are a fluffy, herb flecked dream. They stand in as a more nutritionally beneficial starch than potatoes/rice/etc. 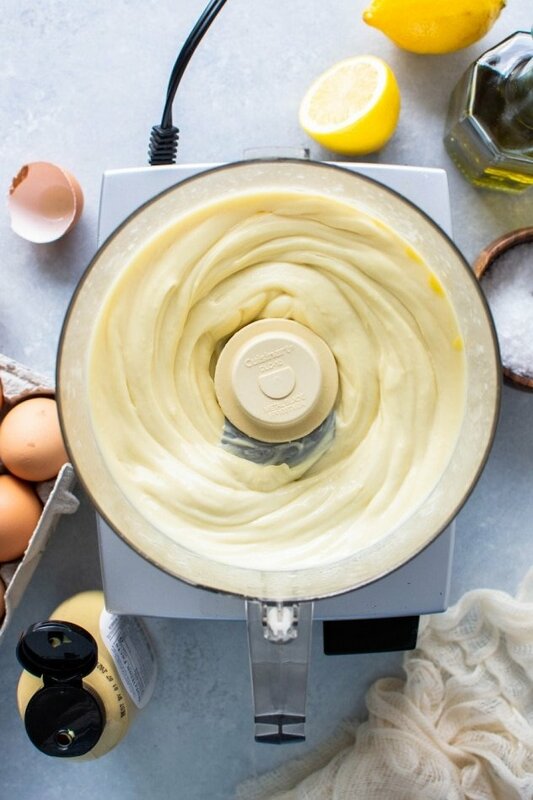 They’re best made in your food processor to really acheive the whipped quality, but you could also use your stand mixer or a traditional hand held potato masher. I used ghee as my fat in the parsnips, but it could so easily be swapped out for olive oil or another fat. 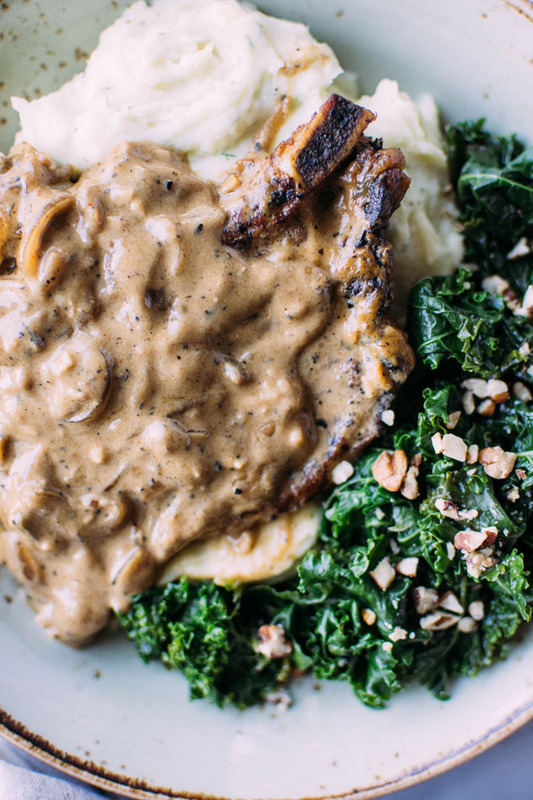 As for the pork – I have only made this recipe with thinly sliced + bone in pork chops. 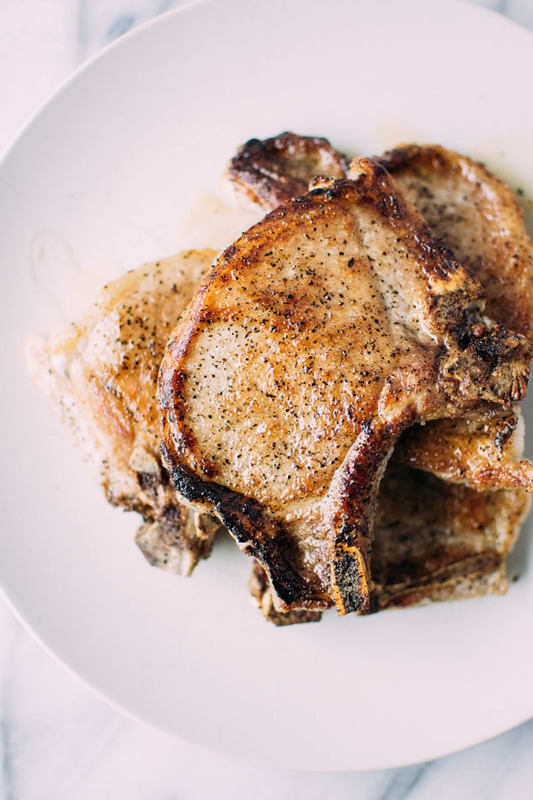 I personally love using bone in pork chops because of how moist they stay throughout the cooking process, but you could try using boneless pork chops if that’s what you prefer. And the kale? 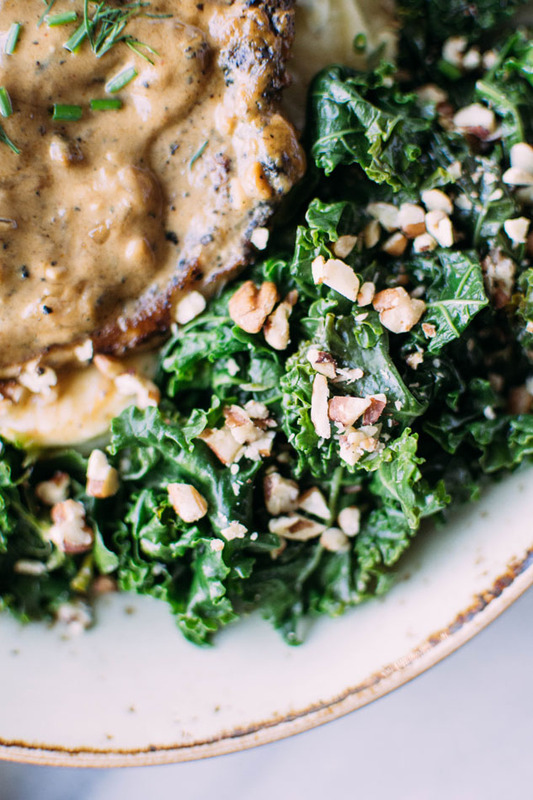 Well the kale is there for every reason we ever add kale to any meal – it’s delicious, something green and bright to lighten up the plate, and squeezes in your daily dose of greens in. It could easily be swapped out for whatever cruciferous // green veggie you have on hand. Happy cozy mid-week, babes! 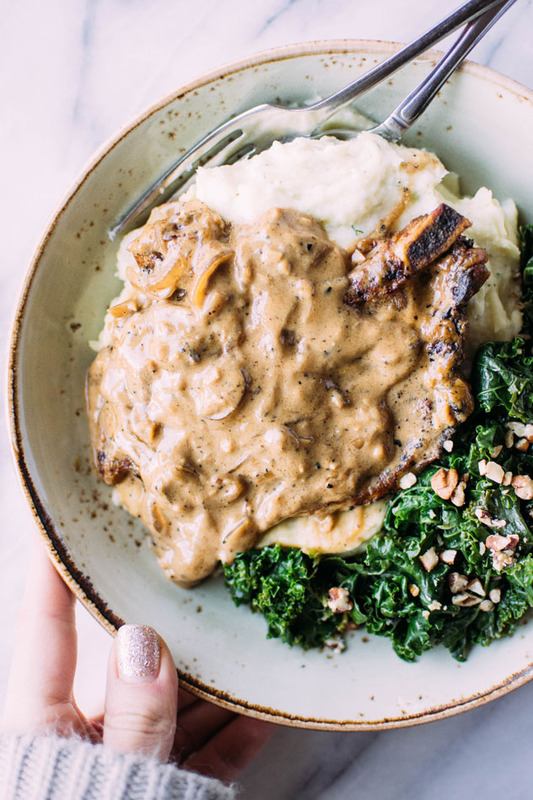 Enjoy this satisfying and midwest inspired meal made with wholesome ingredients and lots of love! 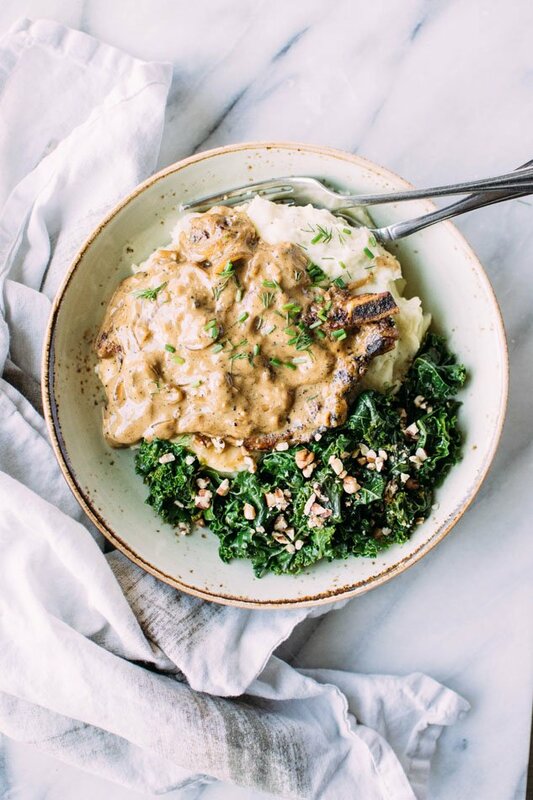 Caramelized onion smothered pork chops with herb whipped parsnips and kale are here to take your gluten free // paleo dinner to the next level of comfort + satisfaction! 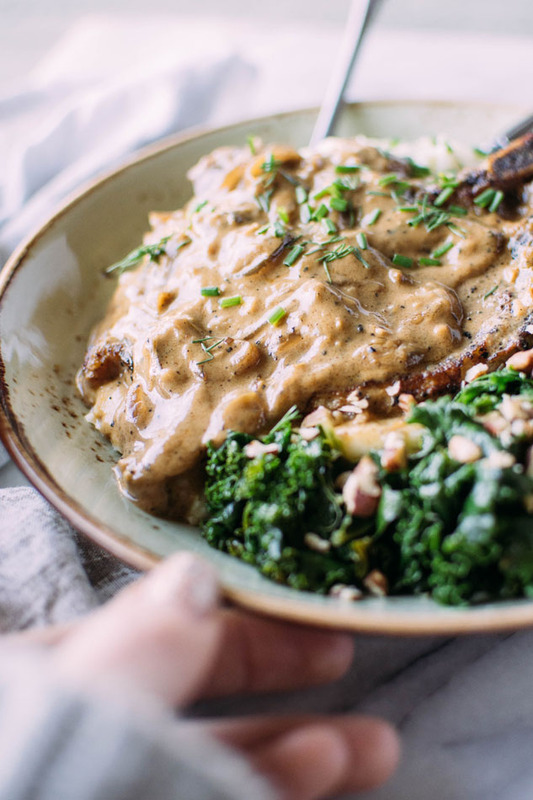 Nestled in a creamy dairy free sauce these pork chops pair perfectly with dreamy whipped parsnips and bright and nourishing kale for the perfect comfort food meal. Wash pork chops well with cold water and dry thoroughly with paper towel. Season quite liberally with salt, pepper, and garlic powder. Re-wrap in deli paper or wrap in a paper towel and place on a plate to store in the refrigerator for at least 2-4 hours before cooking, but as long as over night. This step (along with the fact that you’ll be using bone-in pork chops) ensures a moist and tender cooked chop! Soak cashews in boiling water for at least one hour. Drain cashews and put in high-speed blender with just enough water to ALMOST cover cashews. 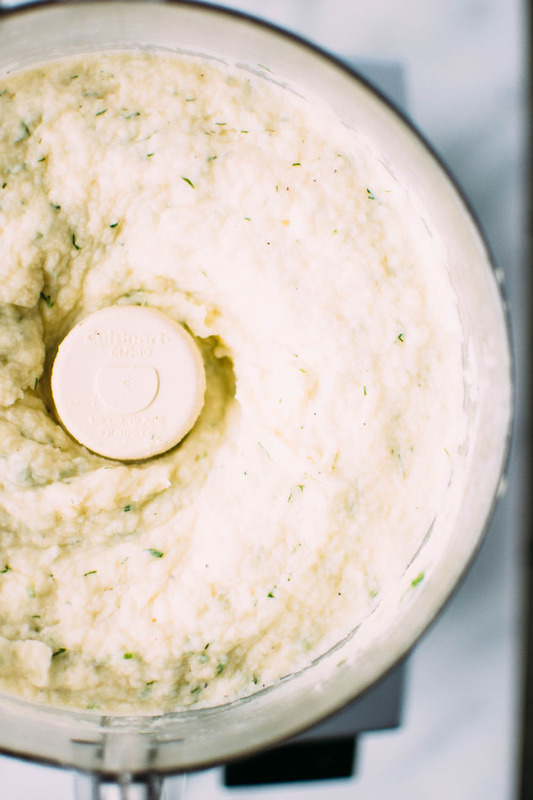 Blend on high for about 30 seconds, or until cashew cream is completely smooth. It should be about the consistency of yogurt. Move to a storage container and set aside. Peel and cut parsnips into 1 1/2 inch pieces, place in a large pot and cover with water. Bring to a boil and then lower to a simmer. Cook until very tender, about 14-16 min. Drain parsnips very well (the less liquid that remains in them the richer your whipped parsnips will be). 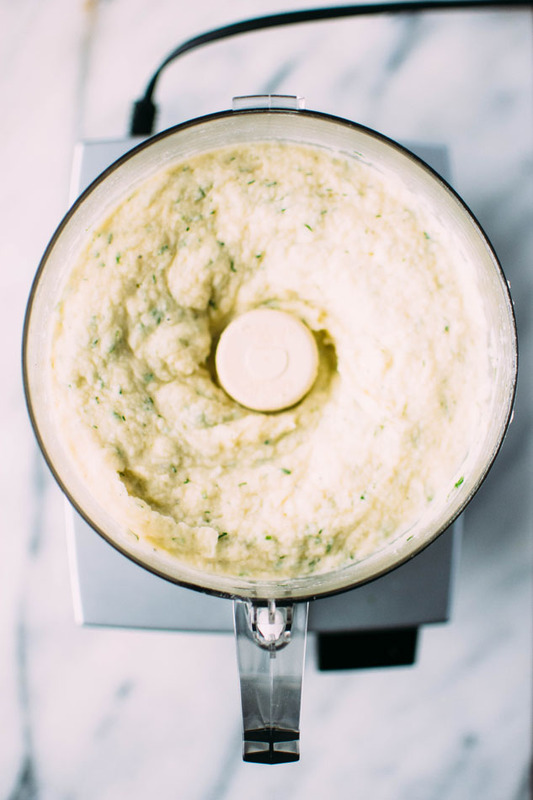 Add parsnips to food processor (this step can also be done in a kitchenaid stand mixer, or with an old-fashioned potato masher) with ghee and about 1/3 cup cashew cream, 1/2 tsp salt and a little black pepper. And process on high for a minute or two, until no lumps remain. You may need to add more cashew cream, a little at a time to reach desired consistency. 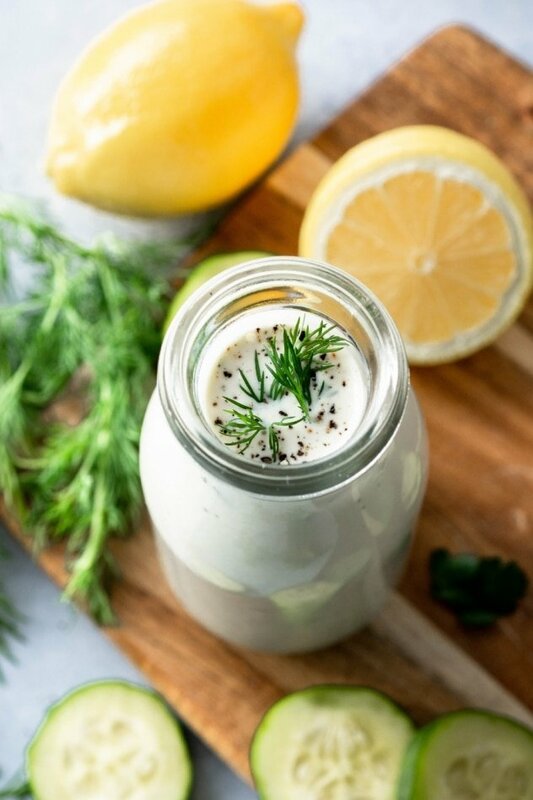 Once parsnips are whipped, add in a tiny squeeze of lemon juice (to mimic the flavor of sour cream or yogurt) and a few tbsp of chopped fresh herbs, I used chives and dill. Process again until combined. Heat a large skillet over medium high heat. Add about 1 tbsp oil. Once almost smoking hot, add 2 pork chops. Cook about 3 minutes on each side, in two batches, until nicely browned. Remove to a plate. Add thinly sliced onions to pan used for pork chops along with a big pinch of salt and lower heat to medium. Cook, stirring occasionally until very soft and brown. About 6-8 minutes. Add coconut sugar, paprika, nutritional yeast. Stir and cook for another minute or so. Stir in broth, scraping up any browned bits on the bottom of the pan. Lower to a simmer and cover, cooking for about 10 minutes. 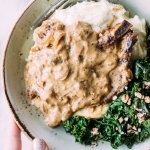 Stir in cashew cream (adjusting amount according to how creamy you want your sauce to be), taste for salt and pepper and add pork chops, spooning some of the sauce over the top. Cover and cook another 8 minutes. While sauce and chops are cooking add a steamer basket to the pot used to cook parsnips and bring a couple inches of water to a boil. Wash and chop one bunch of kale, and steam while sauce is cooking. This should take about 6 minutes. While hot, toss with a little ghee or olive oil, and salt to taste. 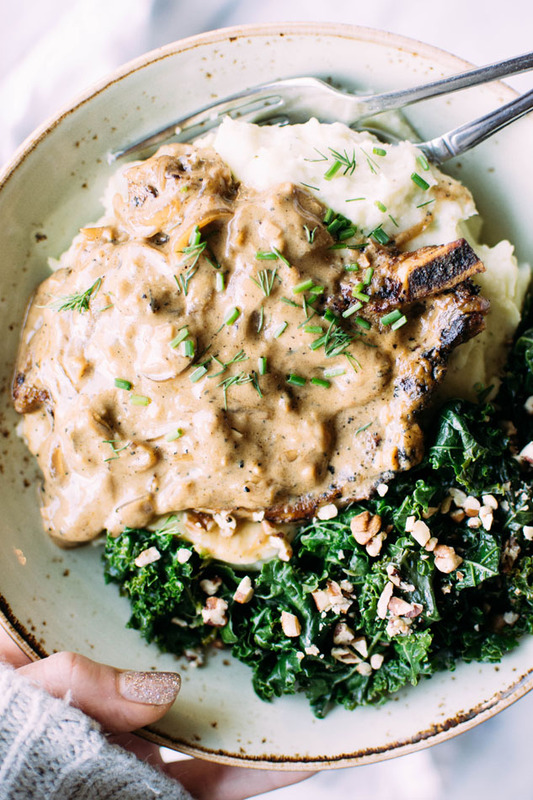 Spoon some parsnip puree onto a plate, topping with a pork chop + some sauce, and nestle in the cooked kale on the side. 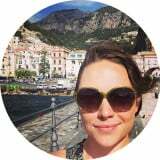 This entry was posted in dinner and tagged cashews, easy, gluten free, grain free, healthy, kale, paleo, pork, quick on February 1, 2017 by Nyssa Tanner.